Halloween is just around the corner, so you may have already thought about doing a little decorating for the season. 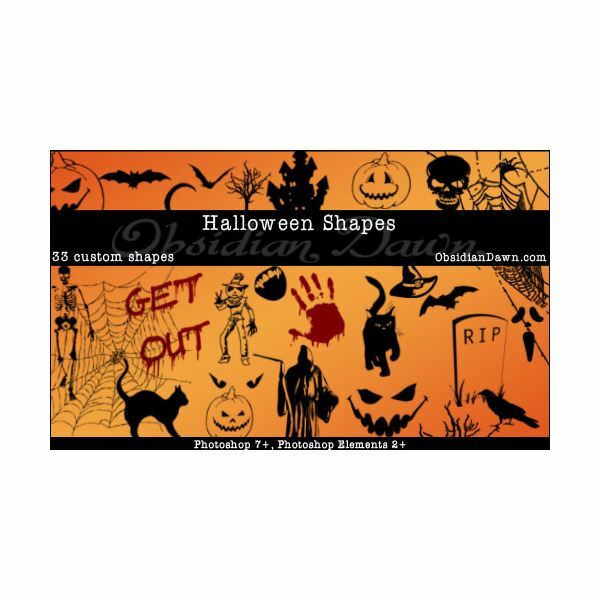 This article spotlights a few great Photoshop Halloween custom shape packs filled with various ghosts, gravestones, black cats, witches, and pumpkins to add Halloween spook to your invitations, trick-or-treat bags, and whatever else you can think of. Please remember to give credit to the artist if using these for public use, though. As always, one of my all time Photoshop resource creators, redheadstock, has managed to come out with a pretty awesome Halloween shapes. A set of 33 custom shapes including spiders, eyes, coffins, hand prints, black cats, pumpkins, ghosts, witches, bats, spooky trees, and tons more. 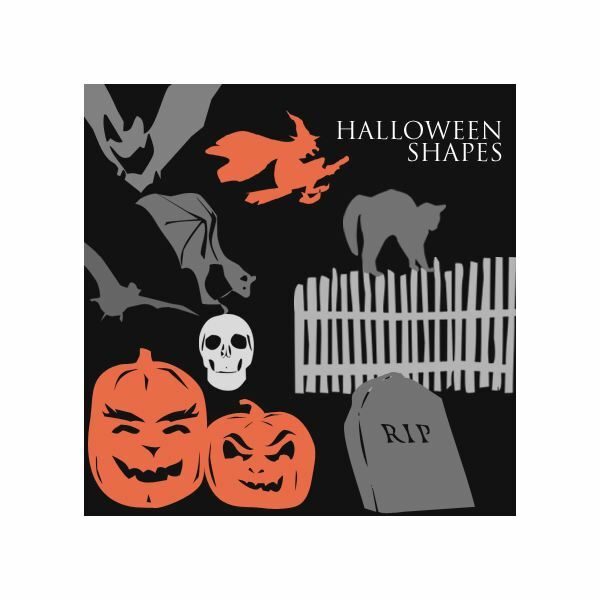 If you're only going to download one shape pack this year, make sure you grab up redheadstocks's Halloween Custom Shapes. What on earth is a Pumpkin "Lego"? Well, thanks to flashtuchka on dA, it's a set of 24 pumpkin shapes that include tons of different pieces to mix and match as you want. Why? Easy! 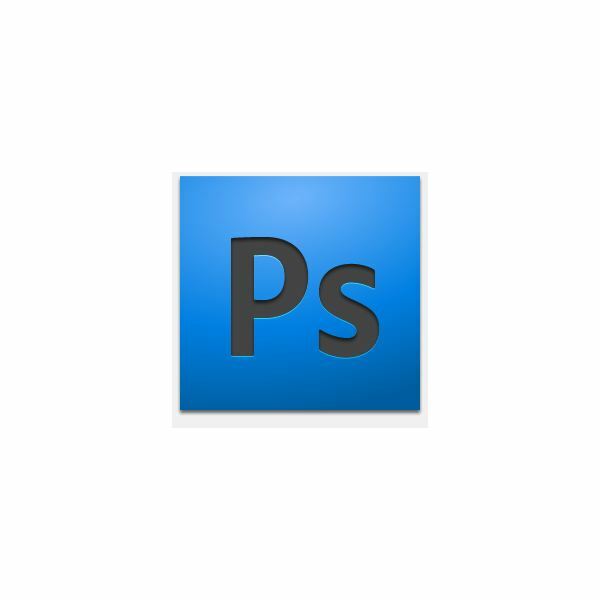 Because by just using these few shapes, you can get a ton of different effects. Simply rotate scale and use layer styles to achieve whatever look you're going for. Try pairing these fantastic shapes with some spooky poems for fantastic party invitations that you can customize for your guests! Flashtuchka has provided us with a second pack of awesome shapes. 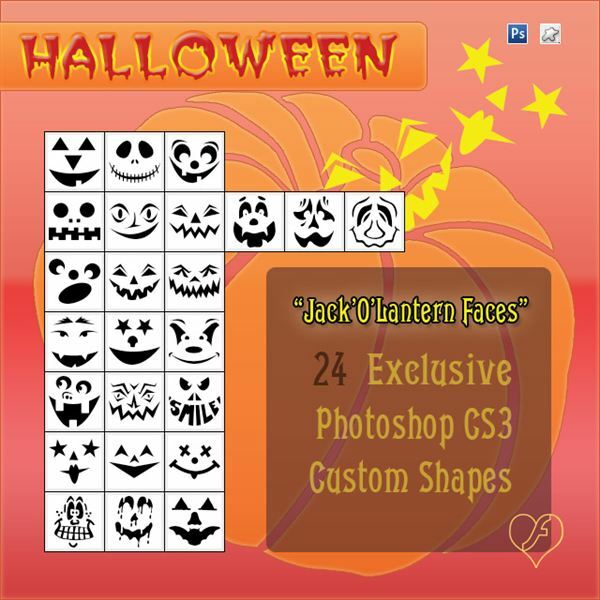 Here is a set of 24 Jack o' Lantern faces that can be used to spice up anything from cards and invitations and party favors, or can even be placed on an average sheet of paper and printed out and traced onto the front of a pumpkin for a pumpkin carving template. 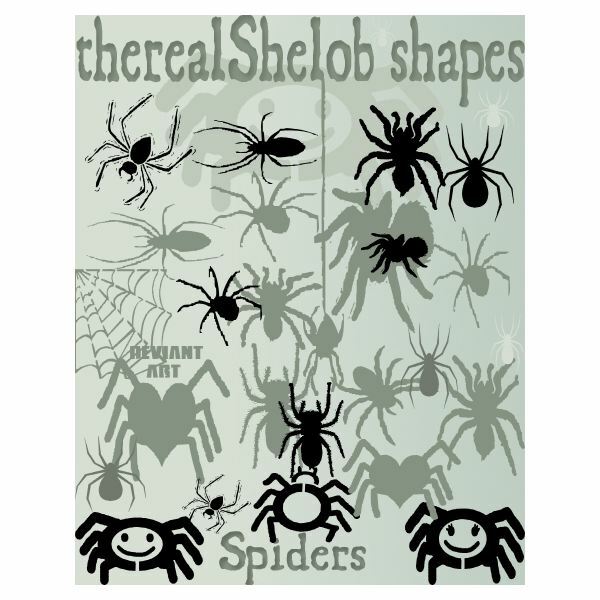 therealShelob's set of spiders are every bit as creepy, crawly, and cute as a Halloween shape set should be. This set includes 16 spiders from realistic and creepy, to cartoony and very cute. Also includes a creepy little cobweb for that extra spooky feel. Special note: These brushes are for non-commercial use only, meaning you cannot sell anything you create with them. 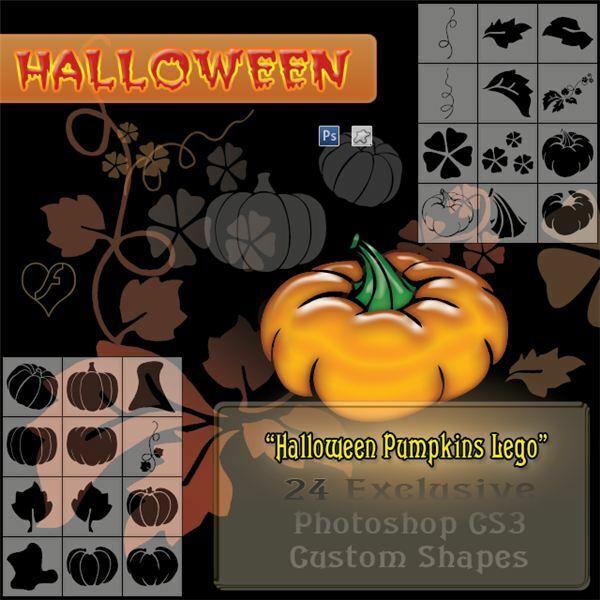 Digital Corner provides you with 10 Halloween shapes to decorate anything you would like! Included are gravestones, skulls, bats, witches, black cats, and ghosts. If you're looking for something with a decent amount of detail and a very cartoony feel, this is the shape pack for you. 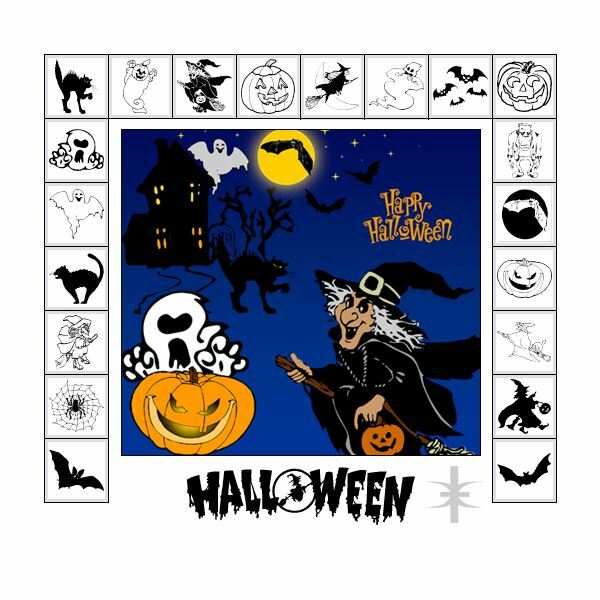 mutato-nomine has created a pack of several Halloween themed shapes with cartoony ghosts and witches, silly pumpkins, bats, and so much more. A great pack to get Halloween kicked off right.